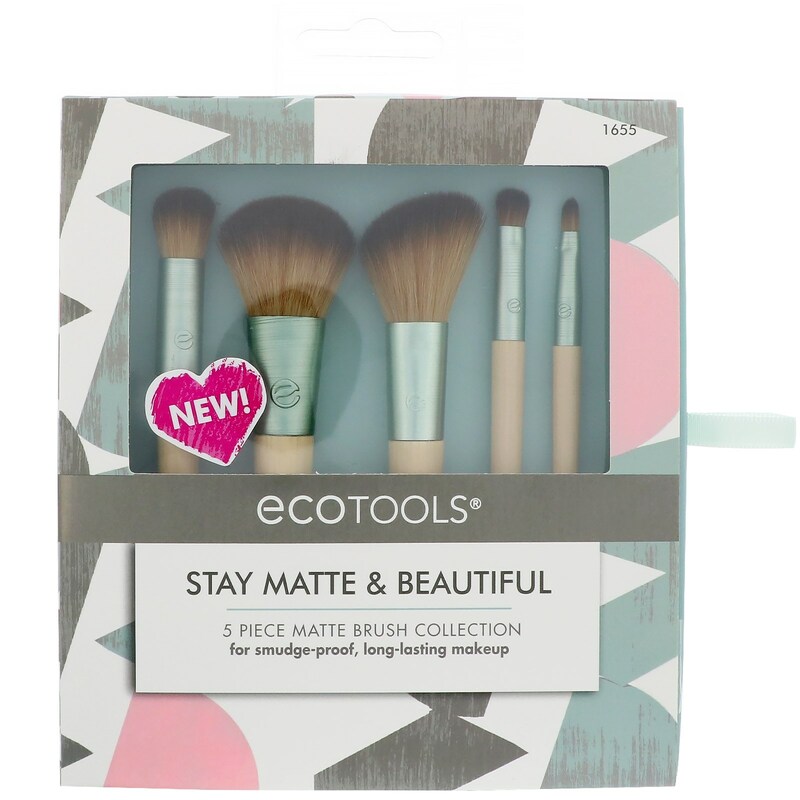 The Stay Matte & Beautiful kit is the 5th edition of our Collector's Brush Set. This collection creates a seamless complexion, naturally contoured cheeks and softly lined lips for a minimal yet modern look. The design was inspired by mixing watercolor textures and geometric shapes to create a soft, organic design. Even: For a long-lasting matte, it starts with your base. 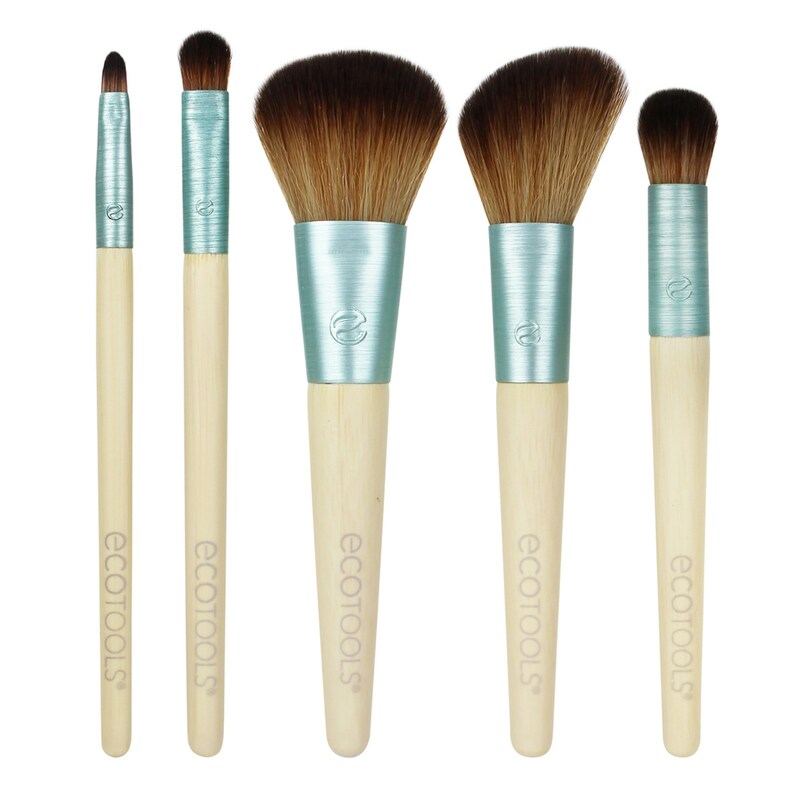 Use the Complexion Blending brush to apply a silky or matte primer, then add foundation using the same brush. 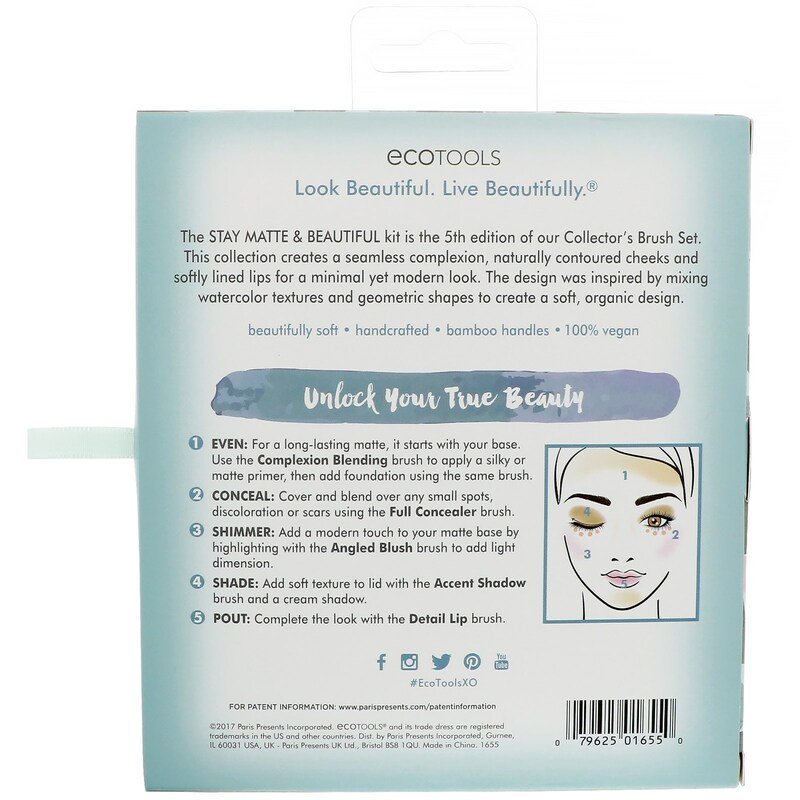 Conceal: Cover and blend over any small spots, discoloration or scars using the Full Concealer brush. Shimmer: Add a modern touch to your matte base by highlighting with the Angled Blush brush to add light dimension. Shade: Add soft texture to lid with the Accent Shadow brush and a cream shadow. Pout: Complete the look with the Detail Lip brush.